EMMA WALTON HAMILTON is a best-selling children’s book author, editor, producer and arts educator. With her mother, actress/author Julie Andrews, Emma has co-authored over thirty children’s books, eight of which have been on the NY Times Bestseller list, including The Very Fairy Princess series (#1 Bestseller), Julie Andrews Collection of Poems, Songs and Lullabies, the Dumpy the Dump Truck series, Simeon’s Gift, The Great American Mousical, and Thanks to You – Wisdom from Mother and Child. She serves as the Editorial Director for The Julie Andrews Collection publishing program, dedicated to quality books for young readers that nurture the imagination and celebrate a sense of wonder. Emma’s own book, Raising Bookworms: Getting Kids Reading for Pleasure and Empowerment, premiered as a #1 best-seller on Amazon.com in the literacy category and won a Parent’s Choice Gold Medal. Her most recent project is as co-creator, writer and executive producer of Julie’s Greenroom, a children’s television series about the arts created for Netflix in partnership with the Jim Henson Company. A faculty member for Stony Brook University’s MFA in Creative Writing and Literature, Emma teaches all forms of children’s book writing and serves as Director of their Children’s Literature Fellows program and annual Children’s Literature Conference, as well as Executive Director of the Young Artists and Writers Project (YAWP), an interdisciplinary writing program for middle and high school students. 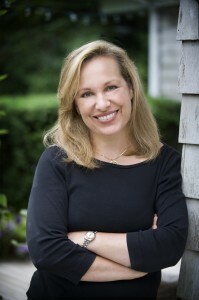 A former actress and theatre director, Emma was a co-founder of Bay Street Theatre in Sag Harbor, where she served as co-Artistic Director and Director of Education and Programming for Young Audiences for 17 years. Independently, Emma hosts the Just Write Children’s Books self-paced, home-study courses in writing picture books, chapter books and middle grade and young adult novels, and offers products and resources for writers, such as “Editor in a Box” and “School Visit Wizard.” She is also the co-creator of Picture Book Summit, the world-class, annual online conference for picture book writers, and The Complete Picture Book Submissions System. In addition, she is a Grammy Award-winning audiobook narrator and an accomplished public speaker, regularly addressing arts and literary conferences, schools, universities and other groups about the value of, and synergy between, the arts and literacy. EMMA WALTON HAMILTON is a best-selling children’s book author, editor, producer, and arts educator. She has co-authored over thirty children’s books with her mother, Julie Andrews, eight of which have been on the New York Times best-seller list, including The Very Fairy Princess series (#1 NY Times Bestseller), Julie Andrews’ Collection Of Poems, Songs And Lullabies; Julie Andrews’ Treasury: Poems and Songs to Celebrate the Seasons; the Dumpy The Dump Truck series; Simeon’s Gift; The Great American Mousical and THANKS TO YOU – Wisdom From Mother And Child (#1 New York Times Bestseller). She serves as the Editorial Director for The Julie Andrews Collection publishing program, dedicated to quality books for young readers that nurture the imagination and celebrate a sense of wonder. Emma’s own book for parents and caregivers, Raising Bookworms: Getting Kids Reading for Pleasure and Empowerment, premiered as a #1 best-seller on Amazon.com in the literacy category and won a Parent’s Choice Gold Medal, silver medals from the Living Now and IPPY Book Awards, and an Honorable Mention from ForeWord Magazine’s Best Book of the Year. Emma’s most recent project is Julie’s Greenroom, a children’s television program about the arts created for Netflix, starring Julie Andrews and co-produced by the Jim Henson Company. Emma serves as co-creator (with her mother), writer and executive producer for the show. She has also written for a number of other mediums, including song lyrics, poetry and stage and symphonic adaptions of her children’s books. A symphonic adaptation of Julie and Emma’s book Simeon’s Gift was developed at Bay Street Theatre and went on symphonic tour to the Hollywood Bowl, Atlanta Symphony and the O2 Arena in the UK, among other venues, under the banner of Julie Andrews’ Gift of Music. Their middle grade novel, The Great American Mousical, was adapted into a family musical and produced by Goodspeed Musicals at the Norma Terris Theatre in East Haddam, Connecticut. Since 2008, Emma has been a faculty member for Stony Brook University’s MFA in Creative Writing and Literature Program, where she teaches children’s literature courses and serves as Director of the Children’s Literature Fellows program as well as the annual Southampton Children’s Literature Conference. She is also Executive Director of their Young Artists and Writers Project (YAWP), an inter-disciplinary writing and creative arts program for middle and high school students on Long Island. Independently, Emma hosts the Just Write Children’s Books online home-study courses in writing picture books, chapter books and middle grade and young adult novels, and provides many other products and resources for children’s book authors – such as her “Editor-in-a-Box” revision kits for picture books and novels, and The Complete Picture Book Submissions System, co-created with children’s author and 12X12 Picture Book Challenge host, Julie Hedlund. Emma is a co-founder of Picture Book Summit, a world-class, annual event for picture book writers featuring live interviews, workshops and agent & editor panels that takes place online on the first Saturday in October. She also works as an independent children’s book editor, providing editorial evaluations, line-editing services and private consulting. Prior to becoming a published author, Emma worked as an actress in theater, film and television, and as a theatrical director and producer. She is a longtime member of Ensemble Studio Theatre and was a faculty member at their Institute for several years. In 1991, she co-founded the Bay Street Theatre in Sag Harbor, New York with her husband, Stephen Hamilton and producer Sybil Christopher. Emma served as Bay Street’s Co-Artistic Director and Director of Education and Programming for Young Audiences for 17 years. Emma is also a Grammy Award-winning voice-over artist, having provided voicing for numerous audiobooks, including Gitty Daneshvari’s School of Fear, Patrick McDonnell’s Me…Jane, Nancy Tafuri’s All Kinds of Kisses, Julie Andrews’ Collection of Poems, Songs and Lullabies (2010 Grammy Award, Best Spoken Word Album for Children), and Julie Andrews Treasury for All Seasons: Poems and Songs to Celebrate the Year, as well as for radio, television, theater and industrial spots. An accomplished public speaker, Emma addresses arts and literary conferences, schools, universities and other groups on a regular basis about the value of, and synergy between, the arts and literacy. Emma is a member of the Writer’s Guild of America, the Author’s Guild, The Dramatists’ Guild, The Society of Children’s Book Writers and Illustrators, the International Reading Association, SAG, AEA, AFTRA and ASCAP. She has served on the theater panel for the New York State Council on the Arts, as a National Ambassador for The Broadway League’s “Kids’ Night on Broadway”, and as a trustee for the Morriss Center School in Bridgehampton, NY, and the Center for Therapeutic Riding of the East End (CTREE). She lives in Sag Harbor, NY, with her husband, director/actor/acting coach Steve Hamilton, and their two children, Sam and Hope.